Accredited Mortgage Services loan specialists can help guide you through the loan process. We will get you pre-qualified for free before you even find your new home and we can match you with a trusted real estate agent through our partner networks. Our variety of loan options allow you to buy your first home with very little down and we will work to ensure the loan payments meet your unique needs. Not sure which program is right for you? Contact one of our specialists today! 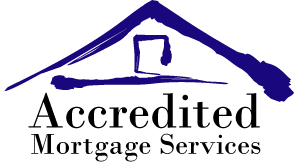 Accredited Mortgage Services can get you pre-qualified and find you the loan that best meets your needs. Find out how you can get pre-qualified today!